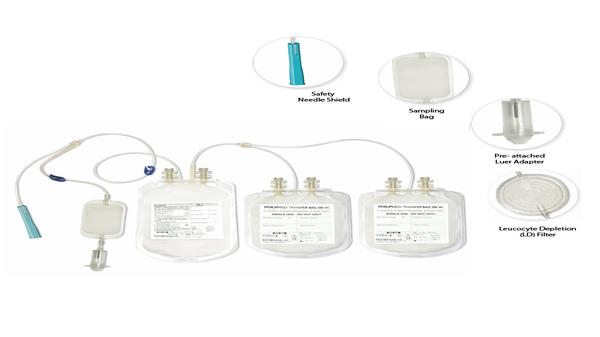 Blood Bags are disposable bio-medical devices used for the collection, storage, transportation and transfusion of blood and blood components. Such blood bags were being manufactured and supplied only by few companies in the world. Till 1987, India’s requirement of blood bags was being met by imports. Sree Chitra Tirunal Institute of Medical Sciences & Technology developed the technology for the manufacture of these bags conforming to international quality requirements. The Corporation identified M/s. Peninsula Polymers Ltd. for setting up a plant based on indigenous technology and provided equity assistance of upto 25% of the total equity. The production of the blood bags started for the first time in the country in 1987 by this company. Subsequently the Corporation has licensed to a number of companies in India who are not only meeting indigenous requirement of blood bags and catering the services for providing the product at an affordable price and but also exporting to various countries such as UK, USA, Germany, Netherlands, Kenya, Bangladesh and earned valuable foreign exchange.